The Law Offices of Bowers and Associates, P.A. is an estate planning and elder law practice dedicated to providing the very best legal advice. At the Law Offices of Bowers and Associates, P.A., we are focused on providing legal services and advice for all your estate planning needs, elder law, Medicaid and other benefits, guardianship and probate. We realize that every client has unique legal needs, so we strive to offer peace of mind while maintaining each client’s personal dignity. Our attorneys treat every client with respect and we endeavor to give the very best legal advice possible. 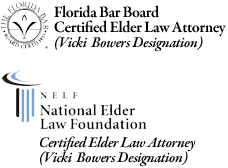 We have VA Accredited attorneys and we have been designated as an Elder Friendly law practice through Elder Source. 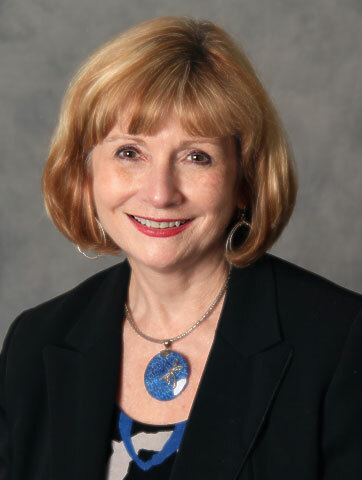 Our managing partner, Vicki Joiner Bowers, is a Board Certified Elder Law Attorney by the Florida Bar and is Certified by the National Elder Law Foundation. Why is Estate Planning necessary if I only have a few assets? How will I pay for Long Term Care? At Bowers and Associates, PA, we realize that trying to understand these complex legal issues can be difficult, but our priority is to be your advocate and help you understand your best legal options. Call today to schedule a time to discuss your legal needs.